The first release of the 2019 is out. We have addded support for AWS ECS services and Docker Swarm Services, and also a dashboard for reviewing quotas and limits for the Kubernetes namespaces and OpenShift projects. If you are using Docker Swarm or AWS ECS as an orchestration tools, we have an update for you in Monitoring Docker v5.5. Under the Services you can find two dashboards, each for own orchestration tool. 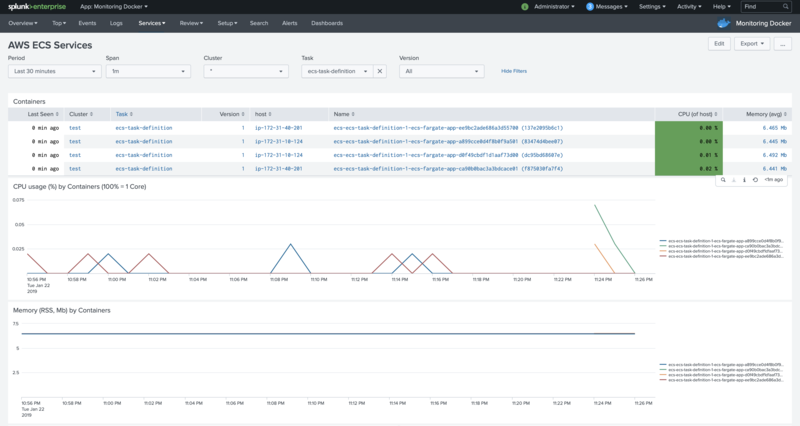 With these dashboards you will be able to monitor containers running on multiple hosts under the same service. Under Review you can find a new dashboard, that will help you to review requests and allocations for the OpenShift Projects or Kubernetes Namespaces, and also review limits and requests for Pods running under these projects and namespaces.